780 S. Rochester Ave. Unit " D "
light source which is housed is a sturdy steel constructed body. MAXANT Thrifty-Lume is a familiar style with economizing features such as a manual pre-heat starter. A simple solution for your basic viewing needs. Slim, streamlined body...sturdy steel construction. Standard twin stick lamp light source. 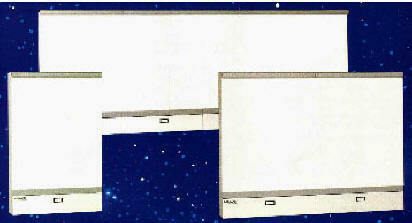 One and two-panel surface mount configurations. Slim 3-1/8" depth is visually unobtrusive and cosmetically clean and simple. High quality, strong welded steel construction is resistant to damage. Lamps: Two #F15T8/D or equivalent. Emits approximately 2000 NITS of luminescence. (Results may vary due to local environment). 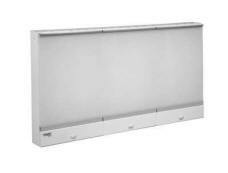 Available in both one and two-panel surface mount configurations. Engineered for maintenance free reliability and durability. Handles all film thicknesses, wet or dry. Standard hospital white is compatible with most medical facility decors. High gloss finish projects a hospital quality appearance. Sanitary, easy to clean surface resists harsh cleaning materials frequently used in medical facilities. 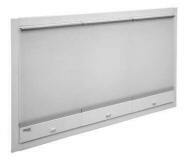 Shatterproof translucent panel provides consistently even light diffusion. Allows for reading of multiple film sizes on a viewing area. Each viewing area is 14" x 17" and contains two 15 watt daylight florescent lamps which are controlled by two ballasts. The ballasts are U.L. Listed and C.S.A. Approved and use a manual pre-heat starting switch. 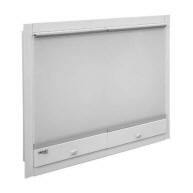 Each viewing panel: 110-124 Volt - 60 Hz - 0.7 amps per panel. Grounded chassis with 3 wire, 6 ft. cord and NEMA 5-15, 2 pole, 3 wire ground plug.